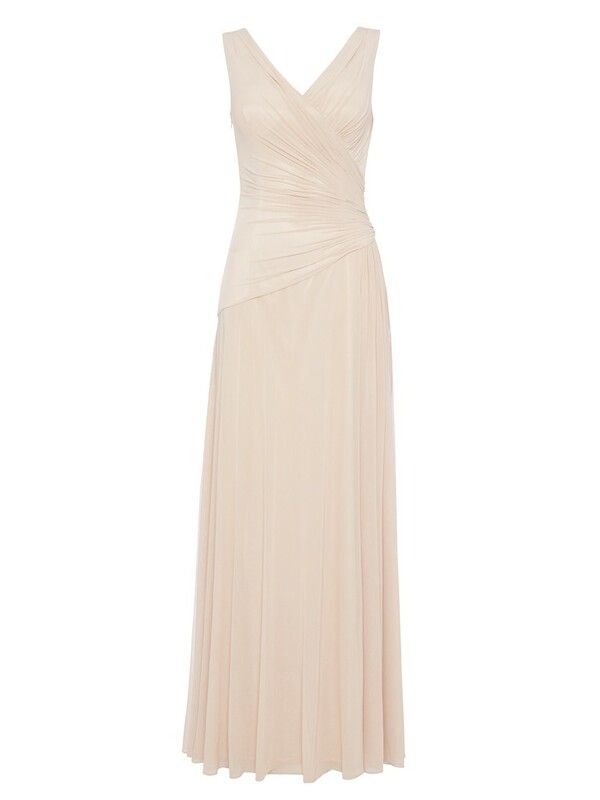 A gorgeous mesh maxi dress draped to fit and flatter the feminine figure. The roughed bodice and waist cinches you in beautifully creating a flattering silhouette. The fully lined mesh dress has a concealed back zip. A very flattering style that defines the waist and hip area. Style with elegant heels and matching clutch to complete the look.